This is for the Smiths thermal gauges used after October 1964, for detail on the earlier Jaeger gauges see Barney Gaylord's site. Rear of the gauge (right way up) showing the slotted plates through the holes in the case. This is a old, spare gauge hence the scabby appearance. I used this when first testing my ideas for calibration, before I realised how easily damaged the slots were. Note that it is not required to open up the gauge for calibration, it is done from the back. Rear of the mechanism out of the gauge, again showing the slots. 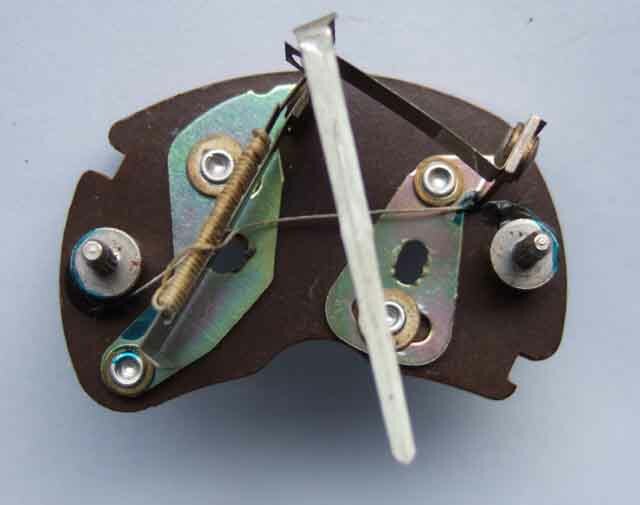 Front of the mechanism showing the 'F' slotted plate with the 'screwdriver' slot in the middle, the pivot at the top, and the limit stops at the bottom. As you can see adjustment is almost more of a case of pulling the slot towards the terminal post, or pushing it away, rather than turning it on its own axis as one does a screw. 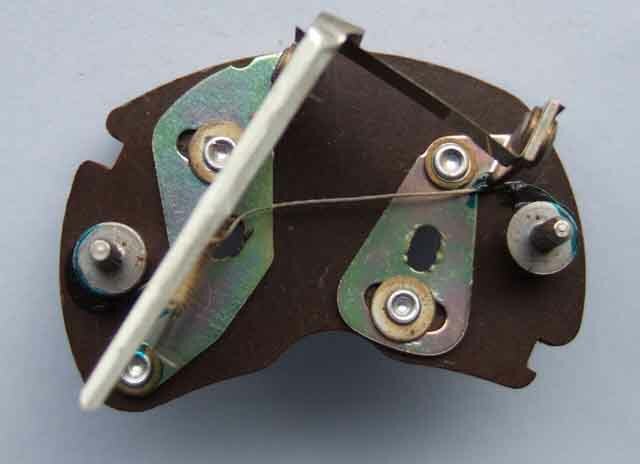 Front of the mechanism showing the 'E' slotted plate with the 'screwdriver' slot in the middle, the pivot at the bottom, and the limit stops at the top. 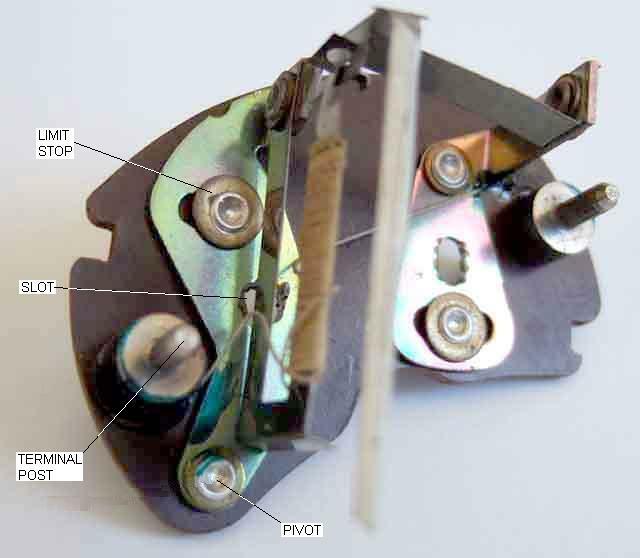 Note the heater winding is wound on just one half of the 'U' that is the bimetal strip. This is the ambient temperature compensation mechanism. Because one end of the 'U' is attached to the base and the other to the pointer, any ambient temperature changes cause the 'U' to bend equally in both halves of the 'U', so effectively the two ends stay in the same position relative to each other, and the pointer does not move. But when a current is applied to the heating coil, only one half of the 'U' is heated, the ends of the 'U' move relative to each other, and this causes the pointer to move. I only discovered this when heating the whole of the gauge to see how much ambient temperature changes affected it as I was of the opinion that the temperature compensation was done in the stabiliser. I was initially surprised to see no movement of the pointer, but then realised the significance of the 'U' shape of the bi-metal strip. Confirmed by laying a pencil soldering iron across first the unwound section, then the wound section, on the unwound section it caused the pointer to move backwards, whereas on the wound section it caused the pointer to move forwards as one would expect. Showing the E plate fully adjusted to the left. Showing the E plate fully adjusted to the right. 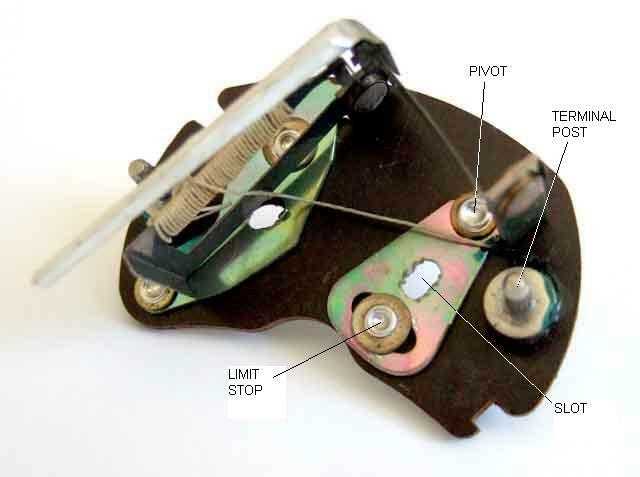 Note the gauge is not powered, and just goes to show how much pointer movement is affected by a small movement of these adjustment plates. 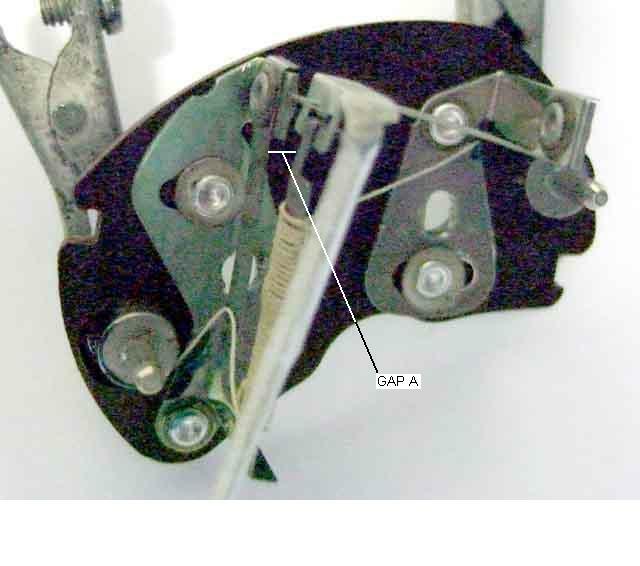 Gauge unpowered, showing the 'cold' gap (A) between the ends of the bi-metal strip. 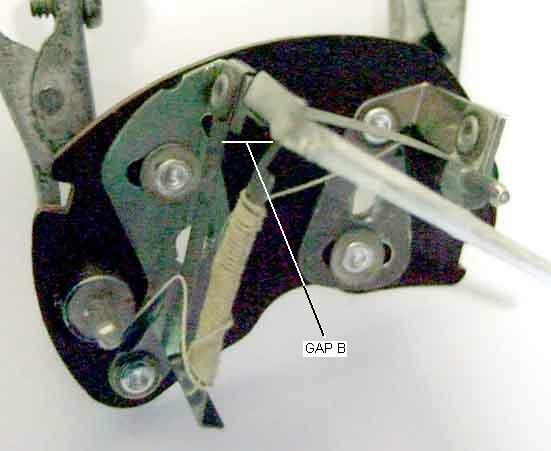 Gauge fully powered, showing the larger 'hot' gap (B) between the ends of the bi-metal strip. Note how the relatively small increase in gap causes full-scale pointer movement. There were at least eight part numbers for fuel gauges for different markets and years, and at least eleven different reference numbers, some of which share the same part number of course. Whilst for some it will be obvious which era and market they are for e.g. 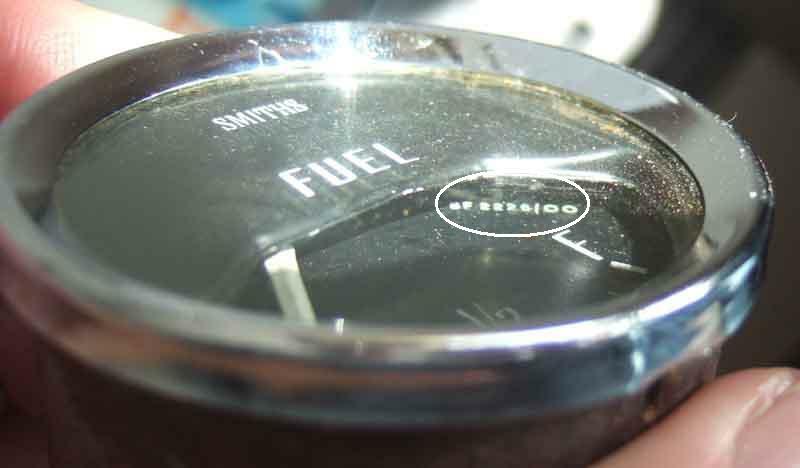 those emblazoned 'Unleaded Fuel Only' for North America and Japan at various times, and those with the plastic bezel from September 1976 onwards, others may have internal differences which affect calibration according to which tank and sender they are used with. From the beginning of MBG production to October 64 unstabilised Jaeger gauges (FG2530/63) were used, and from but even this seems to have had a Smiths variant (FG2530/70). 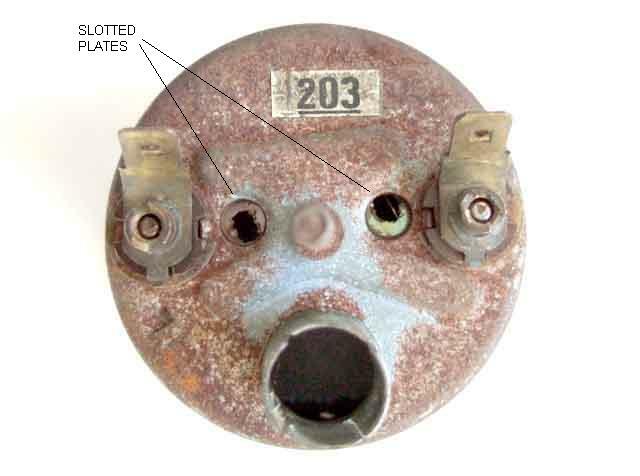 The gauge below is a BHA4736 with reference number (partially concealed under the front part of the face, circled) BF2226/00. BF2223/00 used the same part number from November 67 for all markets, the change to BF2226/00 occurring around 1972. This gauge was used up to September 76 for UK cars, ending earlier as engines for other markets gained catalysts and the gauges (a labels at the filler) highlighted that only unleaded fuel should be used. Note 1: The Parts Catalogue indicates changes in part numbers for all cars at November 67 with the Mk2, and also at August 69 (Canada) or August 71 (USA, Sweden and Germany) when they reverted to the metal dash part number again. However one source of a 1970 USA fuel gauge shows it has the same reference number as the metal dash cars, so what this first part number change represents is not known. Because the sender didn't change the electrical characteristics of the gauge won't have changed, so any of the gauges for that sender could be used if visually acceptable. Updated July 2009: However the voltage stabiliser changed at the same time as the gauges, and it seems that with the wrong mix of gauge and stabiliser the fuel gauge at least gives incorrect readings. Mk1 cars used part number 27H 7819, Mk2 cars used BHA 4602. Note 2: Clausager indicates LHD cars got different gauges with the new plastic dash of September 76, and the part numbers in the Catalogue do change. However he has two photographs of the North American plastic dash - one with chrome bezelled instruments and a 120mph speedo, and the other with plastic bezelled instruments and an 85mph speedo, the 85 mph speedo only arriving with the 1980 models in June 79. 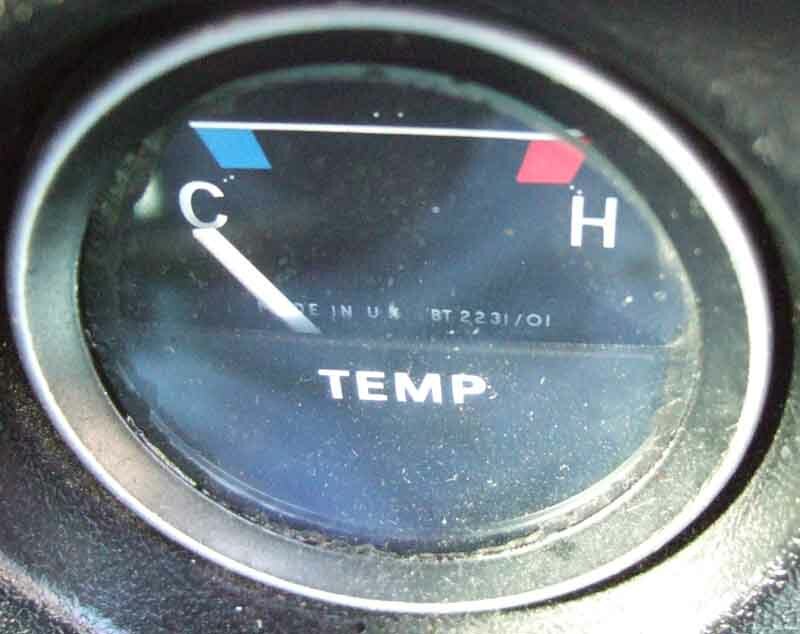 If his photos are 'correct' then all the LHD instruments must have changed again after the start of the 77 model year, possibly at the start of the 80 model year when the speedo changed, but the Parts Catalogue doesn't reflect this (by then it doesn't show the late change to the 85mph speedo either). 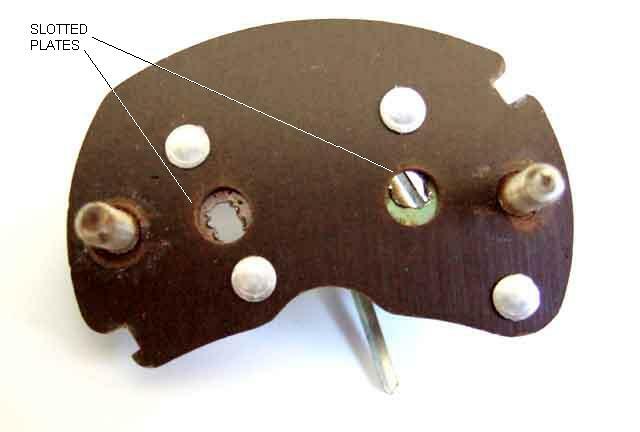 One source of an early Californian 'Unleaded Fuel Only' gauge indicates it has the same reference number as the later gauges, so again the reason for the part number change is not known. Because the sender changed in September 76 it's possible it's characteristics changed, which may well need a different gauge from the earlier sender, but that would have been the case for the 77 model year chrome bezel gauges as well as the 80 model year plastic bezel! All very confusing. Note 3: GTs got the sender with integral outlet from chassis number 412301, the roadster from 415001, however both were August/September 1976.